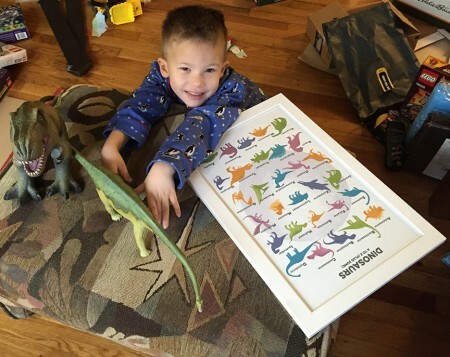 When my friend Rachel posted a link to this A to Z Dinosaurs print a few weeks before Christmas, I knew that we needed to buy it for Ruslan. But there was a problem, the D was not a Diplodocus and I knew that Ruslan would not understand why one of his favorite dinosaurs was missing. Rachel graciously offered to update it for Ruslan and soon the print had arrived, a white frame purchased and it was wrapped for Christmas morning. 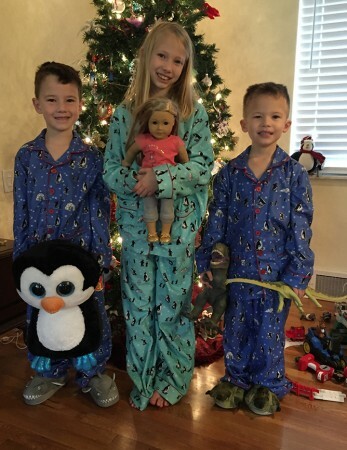 A new favorite dinosaur was added to our household on Christmas Eve. 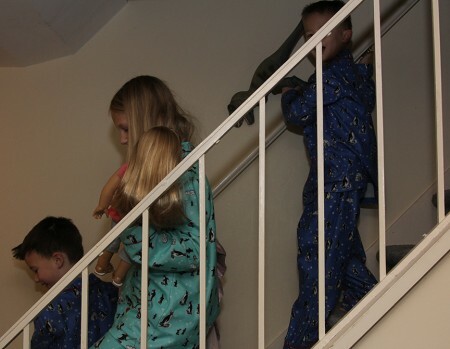 The new T-Rex and the Diplodocus both slept with Ruslan that night and came downstairs with him on Christmas morning. 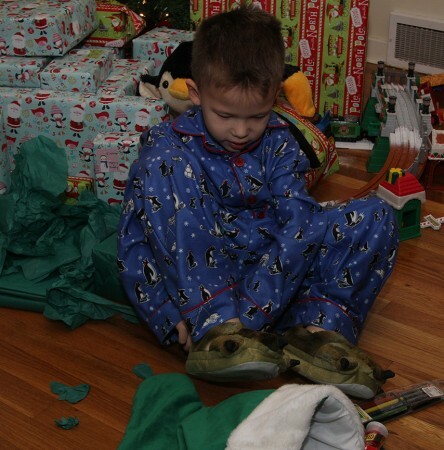 As soon as he unwrapped his dinosaur slippers, he stopped and put those on. 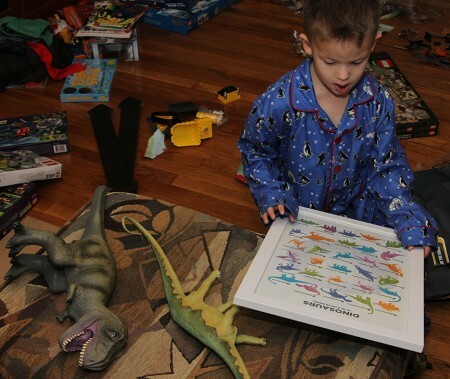 The framed dinosaur print was set aside so that it wouldn’t accidentally be damaged while presents were being opened so it ended up being the last present that was opened. 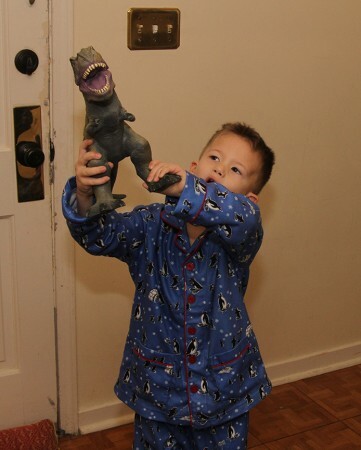 Ruslan opened it and immediately checked to make sure there was a Diplodocus and a T-Rex and then posed his favorite dinosaurs to take a picture. And T-Rex is one my faves, too! (Oh, who am I kidding, they are all pretty awesome!) 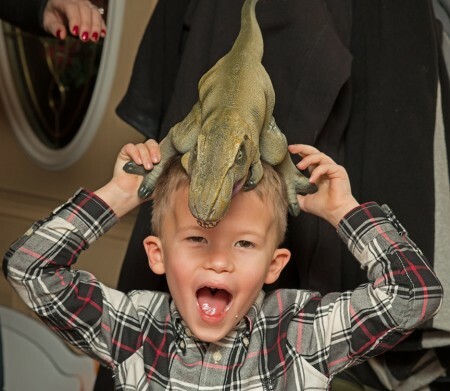 Dino fever fo’ life!